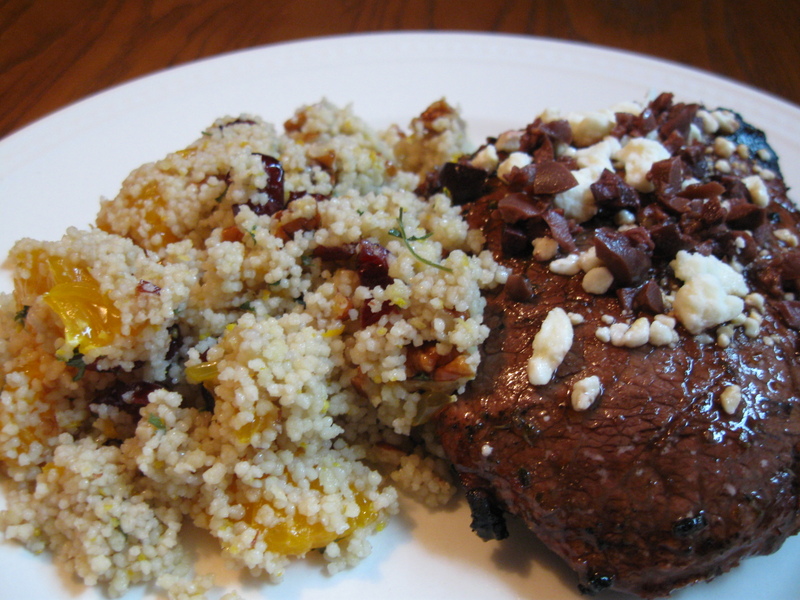 Article first published as What Goes Well with Zesty Mediterranean Steak? Pecan Couscous Salad with Zest, of Course. 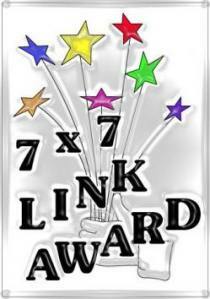 on Blogcritics. For whatever reason, I have done very little grilling this summer, even though I really enjoy it. The Cleveland Plain Dealer food section ran a feature on cookouts this past week (in preparation for the holiday weekend) which inspired me to grill steaks Friday night. The Zesty Mediterranean Steak recipe features flat-iron steaks, which became my favorite steak cut about two years ago. I learned about the flat-iron by eavesdropping in the meat department of my local grocer. While poking around the meat section looking for suitable grilling choices, I overheard a couple ask the butcher for advice on steak cuts. He told them that for price and flavor you couldn’t beat a new cut, the flat-iron. I had never heard of the flat-iron, but I’m not one to overlook sound advice from the butcher (even when it’s not intended for me). I took a flat-iron home to cook that night (they’re rather large and typically feed two) and was overwhelmed with the flavor and tenderness – particularly since it really is an inexpensive steak. From that point on, I sought out flat-irons for grilling. Sometimes they’re easy to find; sometimes they aren’t. I was able to find one Friday afternoon. 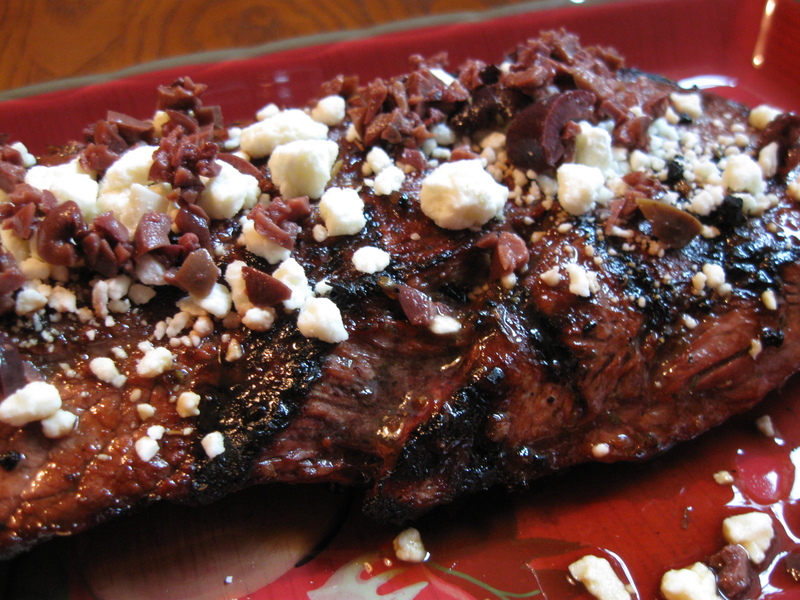 The marinade-seasoned steak, topped with feta cheese and Kalamata olives, was truly zesty (and tasty). I served it alongside Pecan Couscous Salad with Zest, which is perfect for a summer meal – not quite side, not quite salad. One flat-iron steak usually serves two . . . Combine salad dressing, Worcestershire sauce, onion, orange juice, oregano and salt; reserve 1/3 cup of mixture. Place steak in large zip-lock and pour remainder of marinade over steak; seal and turn bag over several times to coat. Marinate in refrigerator at least 30 minutes, turning bag once. Serve topped with feta cheese and chopped olives. Bring butter and broth to boil in medium saucepan; stir in couscous. Remove saucepan from heat and let stand, covered, 5 minutes. Fluff with fork. In the meantime, combine pecans, dried cranberries, zest, and parsley in large bowl; add couscous when done. Add orange juice, lemon juice, oranges and olive oil; toss gently. This looks beautiful. I’ll have to keep an eye out for that cut of meat. But my grill is down. I love a good marinade.